Lateral thinking puzzles are often referred to as Situation puzzles, "yes/no" puzzles, or "no, no oh my dear god no!" puzzles. Lateral thinking puzzles are usually played in a group, alone, in pairs, with limited resources, by deep sea divers, or in other situations. It is most often used to stimulate lateral thinking. Depending upon the settings and level of difficulty, other answers, hints or simple explanations of why the answer is "yes", "****", or "please, God, no more" may be considered acceptable. 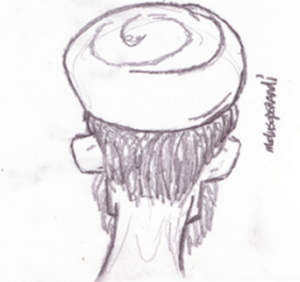 Islamic extremists are unsure how to react to this sketch of what may or may not be the back of Mohammad's head. This page was last edited on 4 August 2008, at 12:52.